Imagine opening your wallet to cover the $1200 cost of one of NVIDIA’s flagship Founder’s Edition RTX 2080 Ti GPUs and experiencing artifacts, crashes, or outright failure. For many early adopters of the current fastest gaming GPU available, these new graphics cards are immensely disappointing, and not just because of the exorbitant cost. Less than two months after release, these cards are dying at a pace that appears to be higher than the standard failure rate for consumer electronics. 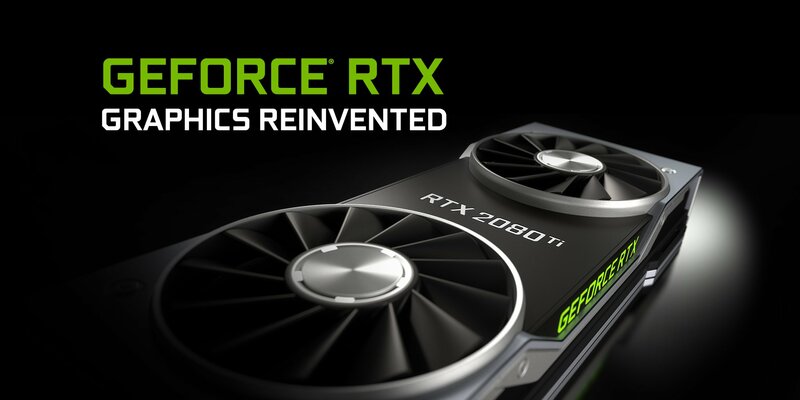 NVIDIA released its RTX 2080 Ti to much fanfare and criticism back at Gamescom in August and eager PC gamers shelled out $1199 for pre-orders of the company’s Founder’s Edition variant of the GPU. For more than a month now, users on NVIDIA’s own forums and other communities like Reddit have been posting about their ordeals with failing RTX 2080 Ti cards. Some buyers claim to have encountered these issues with multiple cards during the RMA process with NVIDIA. So far, there have been no reports of problems with any RTX 2080 cards of any type and no reports of issues with any of the custom variants of the RTX 2080 Ti. The Founder’s Edition cards got an all-new cooler design for 2018 that is much more complex than previous generations, though these problems don’t appear to be heat related. NVIDIA has offered no official comment on the situation and it is currently unknown just how widespread the problem is. In the meantime, if you need the RTX 2080 Ti up in your life, consider a model from NVIDIA’s AIB partners like ASUS, EVGA, Gigabyte, MSI, or Zotac until issues with the Founder’s Edition models gets sorted out.